So Thursday I'm making my annual "ditch work and watch the Cubs" excursion. Unfortunately my friend from work and regular partner in crime Mark has had a conflict in his schedule and can no longer attend. So now I'm stuck with two other guys from work that don't even follow baseball and one unclaimed ticket. That's where you come in. I'm offering the ticket to whoever wants it, for half of what I paid (enough for me to buy two Old Styles in the ballpark). 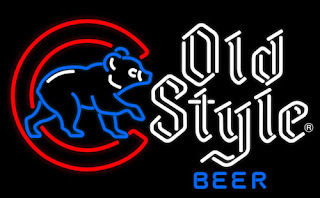 Ditch work, watch the Cubs, drink some beer. What better way to spend your Thursday? You'd be on your own as far as getting to the game. You can meet me at Bernie's before game time to get your ticket. The seats are pretty good. Section 137, Row 14. Any and all inquiries can be sent to the TMS email address. We can sort out the rest of the details from there.